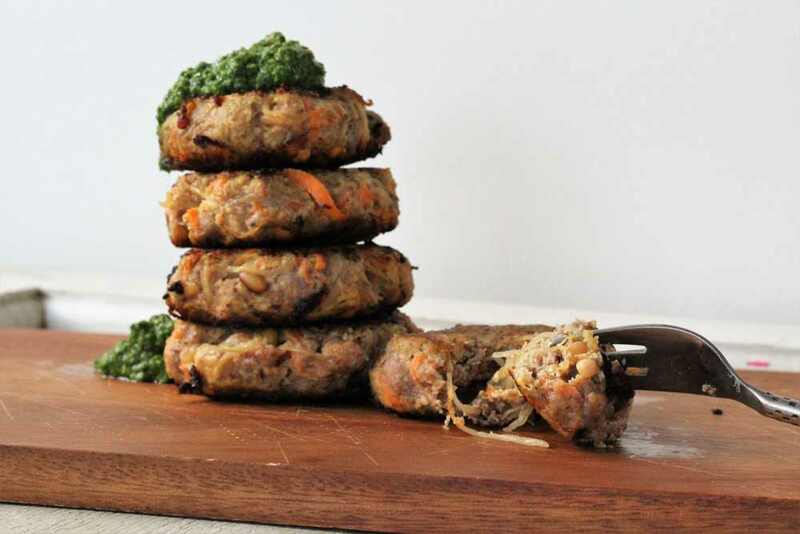 These burgers are a little bit more spesh than your average burger pattie. Two reasons; they have pine nuts in them which basically makes them more valuable than gold bullion and then there’s the spaghetti squash that’s in there too. If you’d prefer not to remortgage your house or have to sell an organ on the black market to afford the pine nuts you can absolutely leave them out or sub them for another nut or pumpkin or sunflower seeds, I have no clue why they were in my pantry but I saw them and knew that at some point they had cost me $150/kg so they were not going to waste. 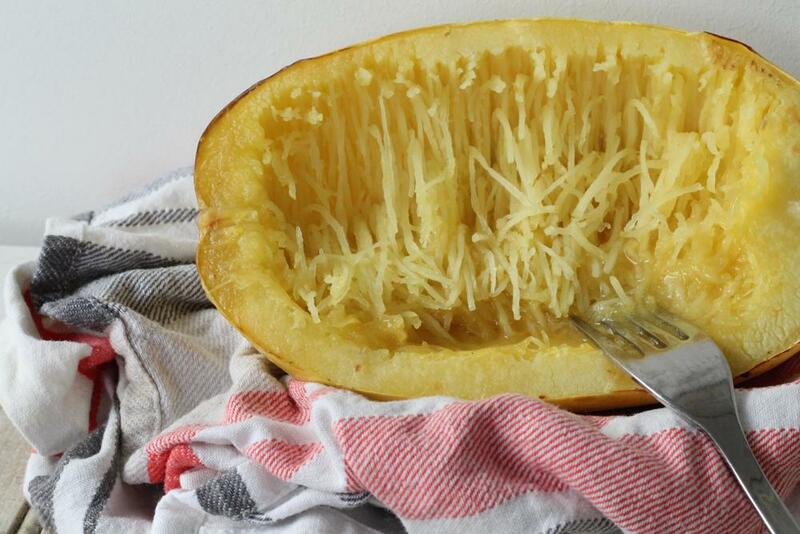 Whaaaat the hell is spaghetti squash? I’m pleased you asked because I’ve been looking for a reason to bang on about it. 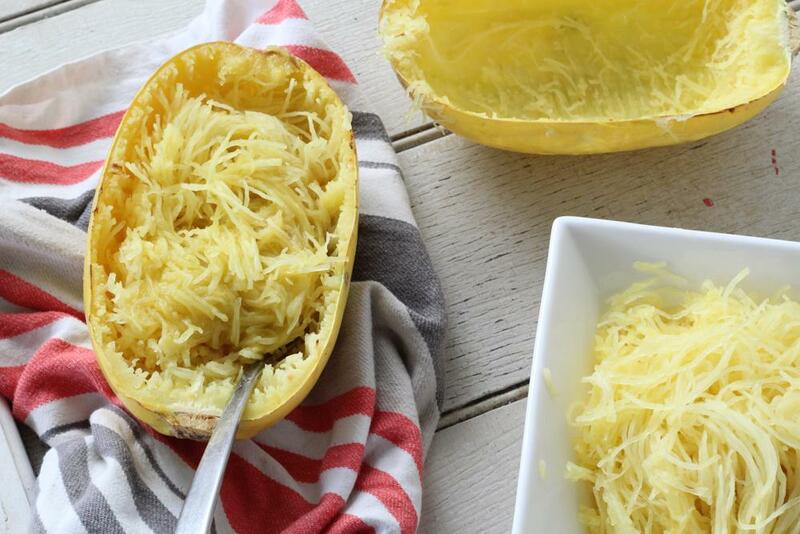 Spaghetti Squash kind of look like a honeydew melon at first glance but “psyc” it’s actually a member of the Winter Squash family like pumpkin but it’s non-starchy making it low in calories & carbohydrates for those looking for a lower carb option to pasta. This veggie is a good source of vitamin C, B vitamins and plenty of minerals. When scraping out the flesh make sure you do it across the squash like the picture below. Or do it length ways and see what happens but it probably won’t be that ace, for this recipe though it really doesn’t matter too much so you do you. Lamb mince was from the always epic Australian Natural Food Co and you can get a 15% discount off if you want to by using the code sofandshan. The baking tray and frying pans I’m currently digging is the Neoflam range. All toxin free. Preheat your oven to 180C. Take a baking tray and line with baking paper. Grab your spaghetti squash and cut lengthways, scoop out the seeds and place face down on your baking tray. Bake for 30-45 mins (depending on the size of your squash) but it's cooked when you push on the outer skin and it gives slightly. Remove from oven, flip over and allow to cool for 15 mins. Now to shred the squash, grab a fork and scrape across the squash, the flesh should come away like strings of spaghetti. Set aside. Add all remaining ingredients to a large bowl and mix well, I find hands works best but you do you. Once that's all mixed together add in the spaghetti squash and mix to combine, make sure it's cool enough that you don't burn the crap out of yourself. 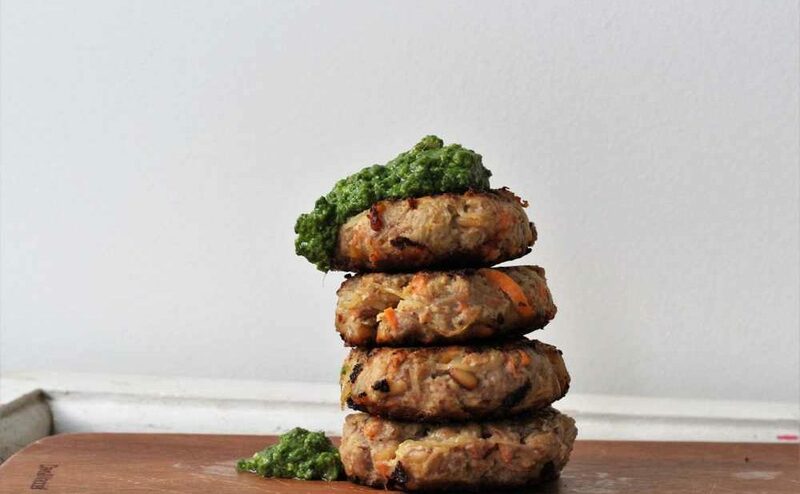 Form into burger patties and cook in a frying pan on on the BBQ. You can turn these into meatballs if you prefer or just cook it up as a big savoury mince situation. This can be frozen raw as is or frozen once cooked. These were so delicious! I made my spaghetti squash in the instant pot which saved a lot of time and the whole house heating up. Added a little fresh cut tomato and red onion with a little avocado oil mayo. We were in heaven. Thanks for sharing!